After the release of “In Times” back in 2015, I had high hopes for the next release from the Norsemen in Enslaved. Having released some absolutely slaying albums over the last decade or so, their 14th studio album came out in the Fall of last year. Just like their counterparts in Primordial, Enslaved brand a sort of progressive mix of black metal and pagan/Viking metal. “E” is the first record after longtime member Herbrand Larsen left in 2016, leaving an open spot behind the keys. Joining instead was Håkon Vinje who also plays with Ivar Bjørnson in his other project with Einar Selvik, Wardruna, so he’s not unfamiliar with the sort of music that Enslaved play. It would thus be interesting to see if this would have any impact on the sound of Enslaved. If one compares “E” to their latest albums, you instantly get a different vibe right from the first track, “Storm Son”. “In Times” kicked things off with “Thurisaz Dreaming”, just like “RIITIIR” (which perhaps is my favorite album by the band) did with “Thoughts Like Hammers”, but “E” starts in a fairly different manner with a slow and dreamy intro, until the drums really kick in just shy of the 3-minute mark. 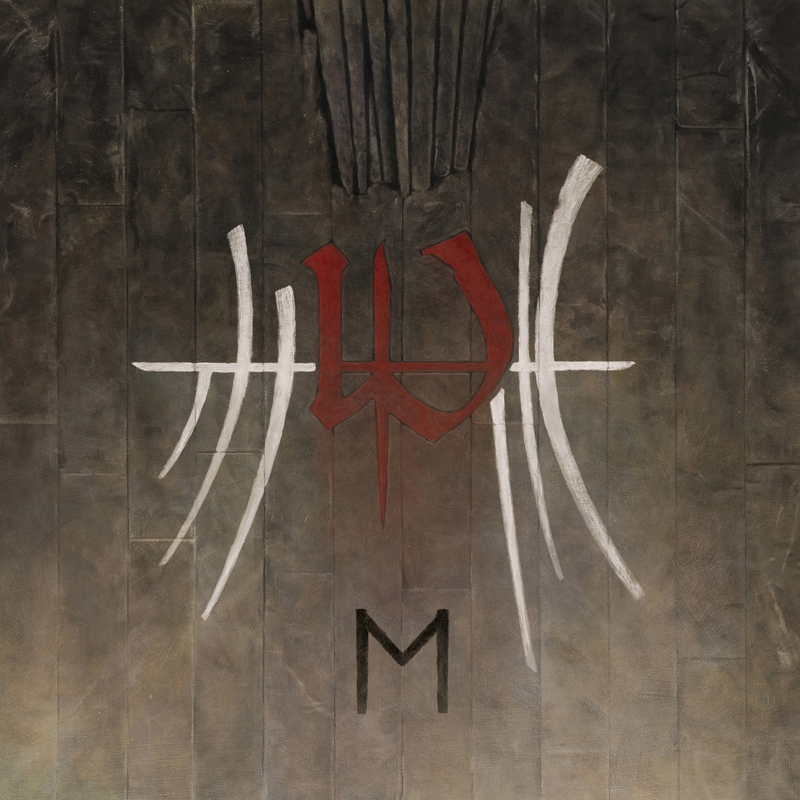 Not unlike Opeth’s recent output, Enslaved incorporate more progressive elements into their sound, with both organ and plenty of clean vocals, even toying with some more jazz-like elements than we’re used to from them in the past. They do, however, stay true to their origins with the characteristic snarled growls by bassist and lead vocalist Grutle Kjellson. In fact, if you take away the growls on this track it wouldn’t have been too odd to find it on a release by the aforementioned Opeth, since the music has that constant sound of organs in the background, which, for the record, isn’t a bad thing. 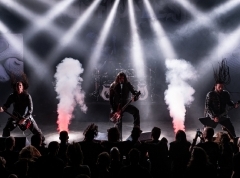 Not until the 7-minute mark where the build-up reaches its climax, the Enslaved we know kick in the door with plenty of tremolo guitar and pounding bass, so fans of Enslaved will still not be disappointed. 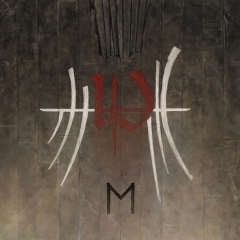 The second track, “The River’s Mouth”, is more in the vein of Enslaved’s previously releases. The gritty vocals lead the way to the drums, bass and guitars and form a suiting intro for the clean singing in the chorus. This continues on the third track “Sacred Horse” as well, which wastes little time with unnecessary filling. The track leaves room for both a lengthy organ solo and some fine guitar work. The structure of the track is just as progressive as we’re used to from Enslaved, and follows the red thread of the album nicely, although it has a pretty long outro with some chant-like singing that erupt from the pyre of a riffs and drums, which probably could’ve been a little shorter. One of the more interesting tracks on the album then, is “Axis of the Worlds”. Just as mentioned earlier, this track has plenty of organs, a dreamy middle section and a very interesting jazz-like intro. It is somewhat different than what you’re used to by the Norsemen, but it really works well. Just like Opeth have succeeded with mixing metal with ‘70s-inspired prog, so have Enslaved on this album. The gritty vocals of Kjellson still have plenty of room in the mix, but when they’re combined with the organs, they seem to be of lesser significance. It does, however, still give the tracks some extreme metal edge, which I personally wouldn’t be without, as I see it as one of the trademarks of Enslaved. This is also seen on the slow-paced “Hiindsiight” that even mixes in a little saxophone to the already complex and challenging soundscape. This highlights the inspiration from ‘70s prog nicely, which must’ve had at least some significance in the writing progress underlying this album. Another indication of how this album toys with different genres and inspirations is that it features a cover of Röyksopp as a last bonus track. I, for one, lack a wider knowledge about the music by these fellow Norsemen in the band, but I still acknowledge their importance in the music scene. It is a peculiar choice to include this cover, but again, it follows the red thread of “E” well. In my opinion isn’t “E” as grandiose in the extreme spectra of its soundscape as the albums mentioned earlier in this review. It contains great tracks which are sure to be played live, but the overall feeling you get from it doesn’t hold anything against either “In Times” or “RIITIIR”. Just as it was the case with Primordial, which I reviewed a few days ago, “E” isn’t a bad album. It is simply just not as good as some of their previous works. That being said, “E” is still a very good album — great, actually. But I still can’t help but compare it to the aforementioned records. It might be a question of taste; whether you like the more progressive style or not. In my humble opinion I find it good, but just not as good as their more extreme kind of style.